I’ve spent the last few months doing some really dry writing. I’m very excited for the Great Salt Lake wetland plant identification guide I’ve been putting together, but writing descriptions of 150+ plants using clear and consistent language is boring. Putting this script together was my reward for doing such hard work: I get to use bold, evocative language! I don't study Phragmites myself. I study emergent wetlands around the Great Salt Lake, which happen to have a lot of Phragmites. I actually had to ditch some of my randomly selected sites because it was impossible or unsafe to access them due to the Phragmites. 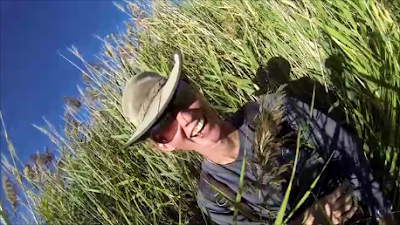 Phragmites is so disorienting, I've found myself lost and terrified in a large patch (as the sun was going down) trying to get to one of my field sites. 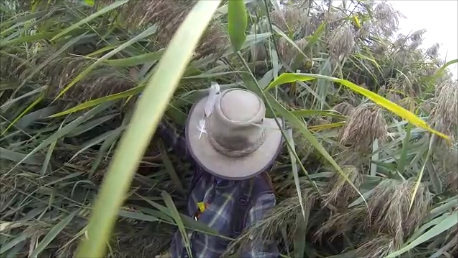 Where Phragmites is established, I find my work at least doubles because it's so hard to move through, and the data I get is boring because Phrag is the only thing there. I think I'm justifiably bitter and wanted to show just how much trouble it is to work in Phragmites. But more than that, I have a begrudging respect for the plant, it's honestly amazing and quite pretty if viewed from a distance. The video I made is a compilation of all the pictures, GoPro and drone video I've shot over the last four years in wetlands around the Great Salt Lake. There are two major threats to my wetlands - climate change and Phragmites - I don't know which is worse, but Phrag is more photogenic. 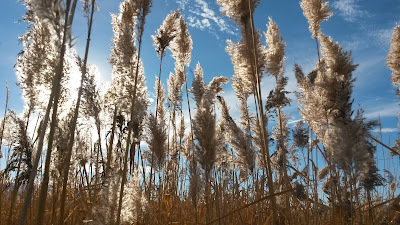 Due to my begrudging fondness for Phragmites, my struggles to come up with titles, and my love of 311, I've chosen to call this "Phragmites, My Beautiful Disaster." Hazelton, E. L., Mozdzer, T. J., Burdick, D. M., Kettenring, K. M., & Whigham, D. F. (2014). 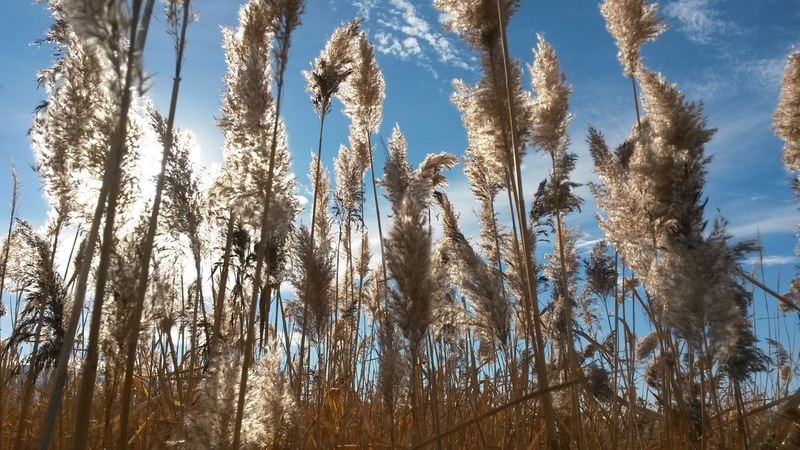 Phragmites australis management in the United States: 40 years of methods and outcomes. AoB Plants, 6, plu001. Saltonstall, K. (2002). Cryptic invasion by a non-native genotype of the common reed, Phragmites australis, into North America. Proceedings of the National Academy of Sciences, 99(4), 2445-2449. Kettenring, K. M., & Mock, K. E. (2012). Genetic diversity, reproductive mode, and dispersal differ between the cryptic invader, Phragmites australis, and its native conspecific. Biological Invasions, 14(12), 2489-2504.